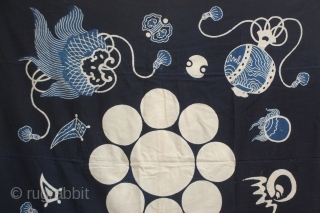 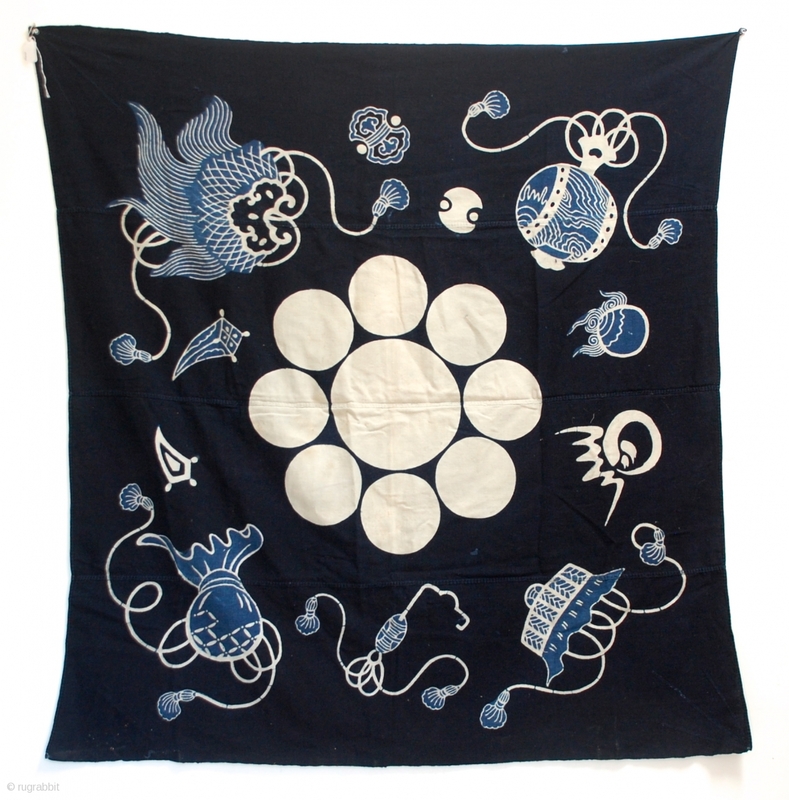 a wonderful large Tsutsugaki Furoshiki indigo dyed hand-spun cotton printed design of a family crest. 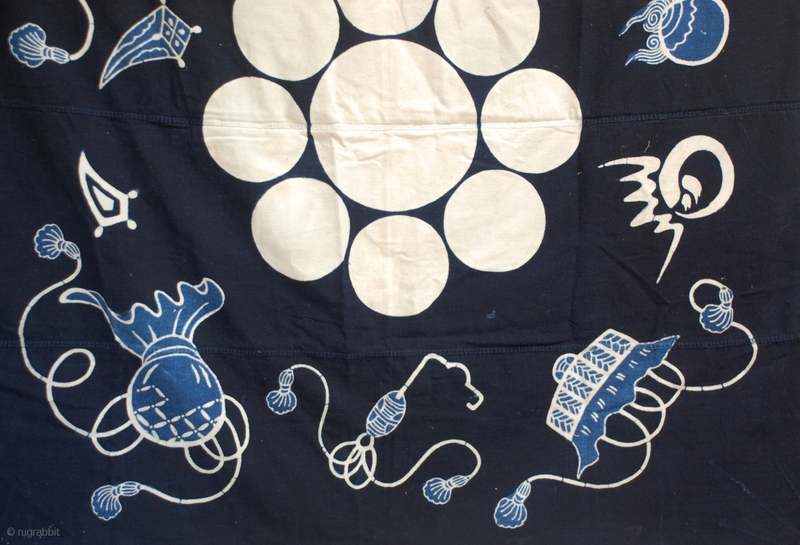 This is an old furoshiki, a square-shaped cloth that was used all over Japan for wrapping, hauling and for storage. 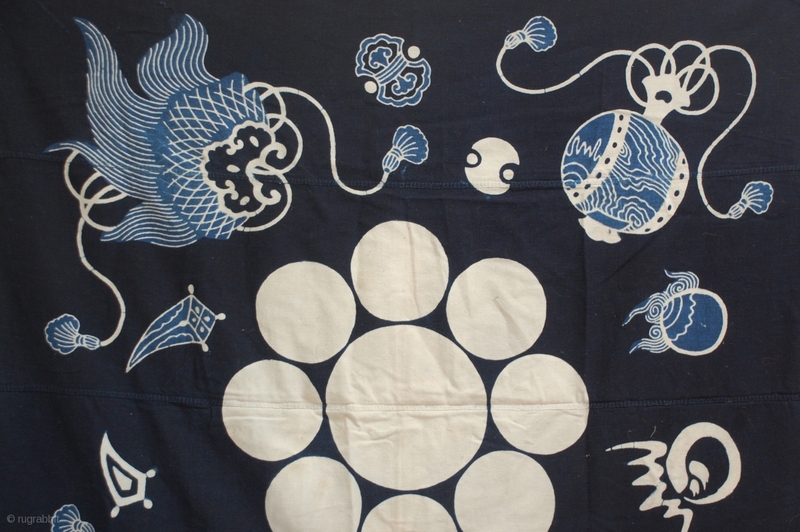 Japan, early 20th century. 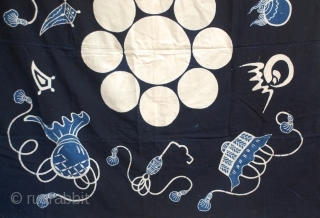 51" x 49"